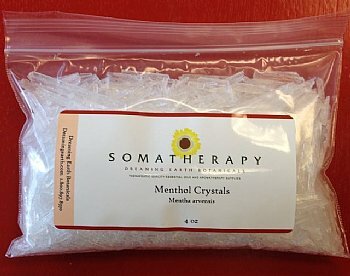 Menthol Crystals are a potent remedy in relieving muscular aches and pains, coughs, congestion, sinus problems and more. 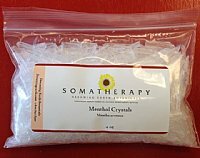 Menthol Crystals are clear, colorless, crystals that are a natural by-product of steam distilled peppermint essential oil (Mentha arvensis). Menthol is the chief constituent of mint oil and is responsible for its distinctive odor and taste and the cooling sensation it produces when applied to the skin. In ointments, liniments and solutions, menthol crystals are typically added in strengths ranging from 0.5 to 5% (always start with less). For cosmetic and external use only. 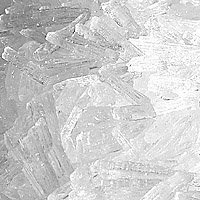 Menthol crystals are cooling, refreshing, and have an extremely strong, minty aroma. They are often used in cosmetics, salves, balms, medicated creams, throat lozenges, toothpaste, mouthwash, gum, foot sprays and soaks, pain relief liniments and more. Since Menthol crystals are so concentrated, only a tiny amount is needed! Please use caution and wear gloves when using. - Not to be used in or near the eyes. Handle with gloves. - Keep away from children and avoid during pregnancy.